It seems like the Treyarch is prepping up for their upcoming Call of Duty Black Ops 4 game and perhaps that is why the design director, David Vonderhaar has taken a 195 question rapid fire session. In those questions answered a great many details about the Black Ops 4 Blackout, too has surfaced. Yes, the number of the questions is 195, which seems to bring in quite an amount of excitement among fans. However, honestly speaking, among those hefty amounts of questions asked, a lot were dodged as well, which you may already be expecting. Still, the ones answered cover a lot of ground for fans. That said, this rapid-fire round was conducted by Gameinformer, just recently in which Vonderhaar has talked about the player count, gameplay features, new features, cosmetics, characters, vehicles, weapons, enemies, a few lines on the future prospects of this game, in terms of its features and so much more. Starting off, the most frequently asked question, in the community seems to have finally been answered. The player count is confirmed to be 80 at the moment, however, the devs are testing them up to 115 and if luck does not run out, then the lucky number could go above 100. Then he also added that Treyarch is also testing Black Ops 4 Blackout split screen. For those who had the thought that perhaps Blackout is some kind of a simulation, he clarified that it is not. Interestingly he also added that Blackout possibly takes place in Northern California, however, the tone in which he said it, does seem a little dubious. Also, the devs are not completely ruling out characters that are outside of their work but it will definitely, contain characters from the past Treyarch games. Getaway limited-time mode can be used to unlock certain content, although he took the doggy approach when asked about characters. Furthermore, there will be multiple types of armors. There will be no variant rarity, according to Vahn, it makes the rest of the game quite confusing that’s why. Moreover, there are missions to unlock characters while mission progression, will unlock new content. Another interesting reveal is that players will be able to trade items within squads, in fact, players can take items when looting a dead player as well. So the loot holder will be able to continue the quest. There was one pattern obvious in this rapid-fire question and that is, whenever Vonderhaar was asked about Zombies, he always took a low way out. He spilled very few beans when it came to Zombies, probably saving the best for the last. Talking about the Zombies in Black Ops 4 Blackout, he did say that Zombies will spawn at least, at four locations. Furthermore, the circle will not only close in on players but for zombies as well and the final circle will mostly be random, on the map but can be diverted towards construction sites. Players will be able to carry two primary weapons and of course, there is a victory quote as well when Blackout is won. Talking about the enemies, he said that other than the already declared AI enemies, players should not expect any other AI enemies, in the future. About the first person, Treyarch has always loved making first-person shooters and the fans love it too, so when they will see it in play they will not be disappointed. For those who were under the impression that James Harden was chosen to disclose Black Ops 4, well it seems like he might have done it accidentally. At the moment some of the things that are being worked on include, game tuning, item tuning, progression rates etc. That said, no information shall be revealed regarding Blackout as a standalone title. A note for the fans that camping playstyle, will certainly not win games so no camping. Moving on to even more interesting news is the fact that David Vonderhaar has finally confirmed Firing Range and Nuketown Island. 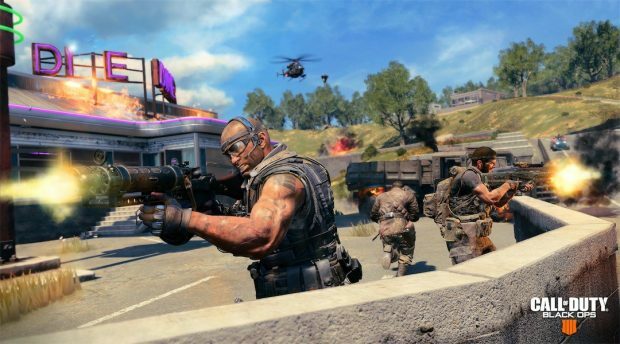 Melee weapons too have been included in Black Ops 4 Blackout, which will involve combat with zombies. Fans can expect to see SHG’s Prop Hunt in multiplayer since Vahn himself is a huge fan. Initially, Treyarch had plans to only just include wingsuits but you die without parachutes, so had to include them. Apparently the question about the requests to play as Zombies still has gone unanswered. What is a real bummer is the fact that this game does not and will not support crossplay. Upon launch, fans can expect about 20 to 22 characters to choose from. 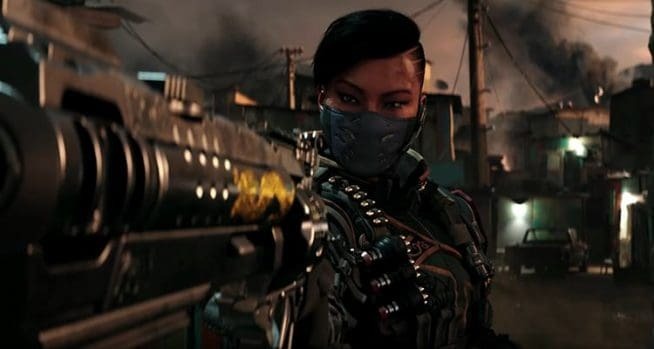 The next scheduled Call of Duty Black Ops 4 beta will try to include all of the characters that will be, in the final game. Plus players will not be able to free run in Blackout. With all that said, other details revealed have been listed below. Well, all this is surely a lot to take in but for fans, it is nearly not enough.